Two of the four fairleads and some sections of teak had been torn off. And the rot apparent in some of the bulkheads below indicated that water was finding its way into the joint between the hull and deck. In some places the joint was exposed and gaping. All of the teak capping was removed. 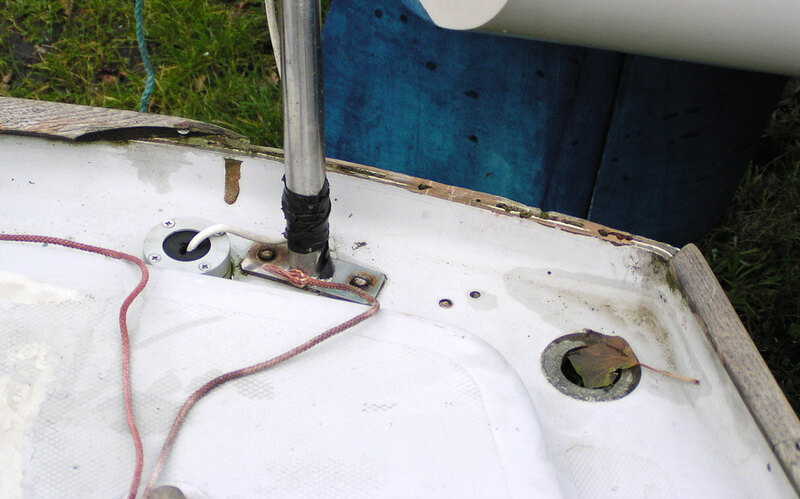 Underneath, much of the filler in the joint between the hull and deck had perished. 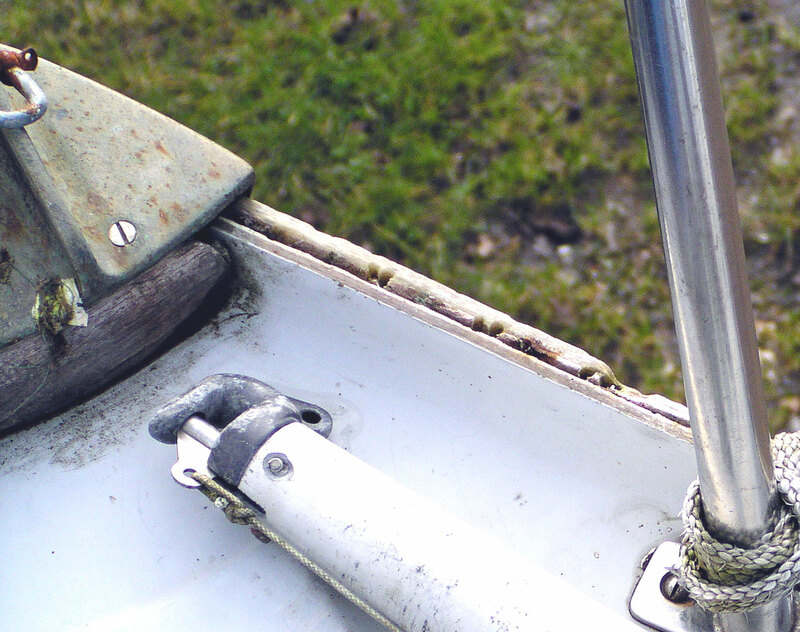 The filler in the gap between the hull and deck appeared have been reduced to the consistency of sand, presumably by frequent grinding movements. 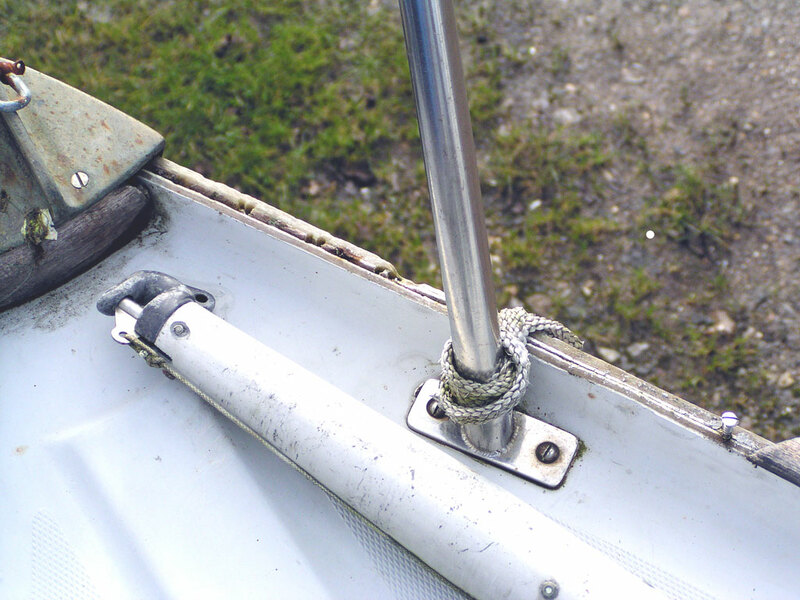 The joint was cleaned out by running an angle grinder in the slot. 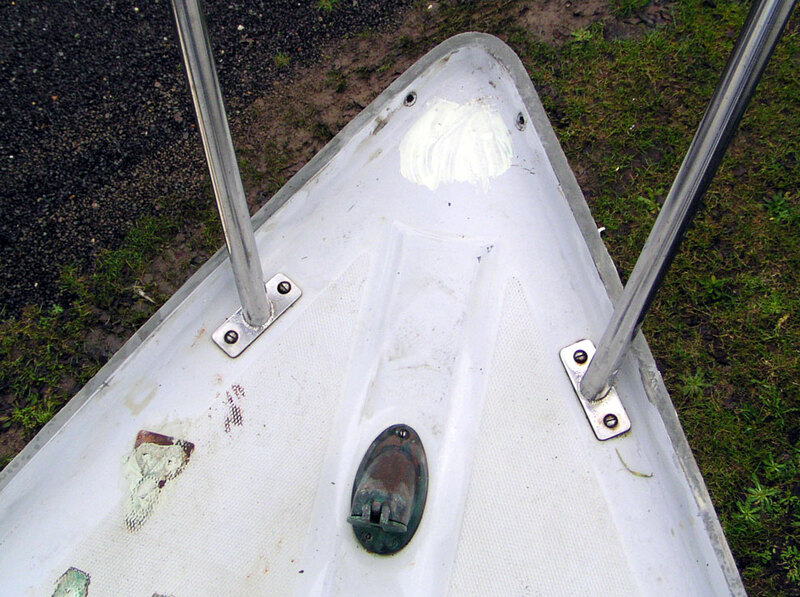 The joint was then filled with epoxy filler. 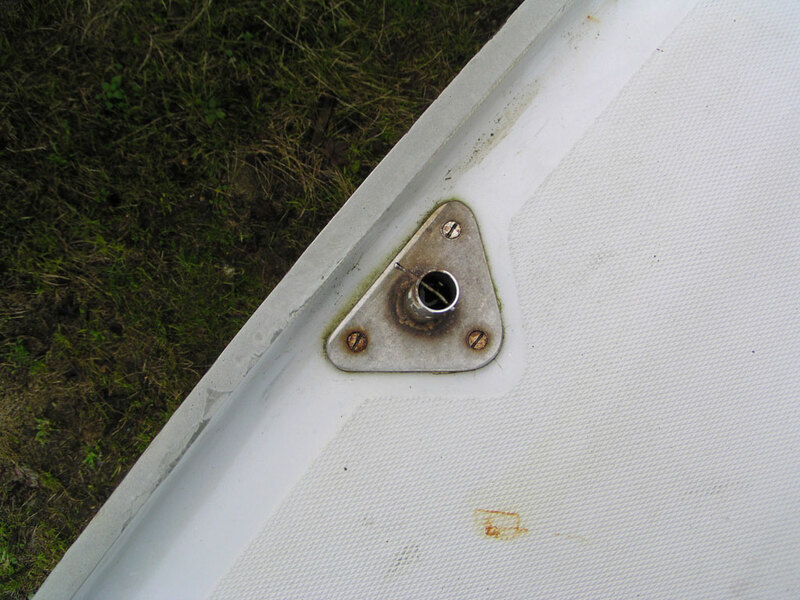 The wooden toerail capping was renewed , and the taffrail across the transom, after the deck had been resprayed.